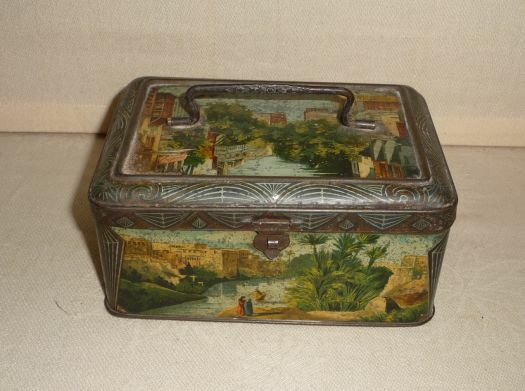 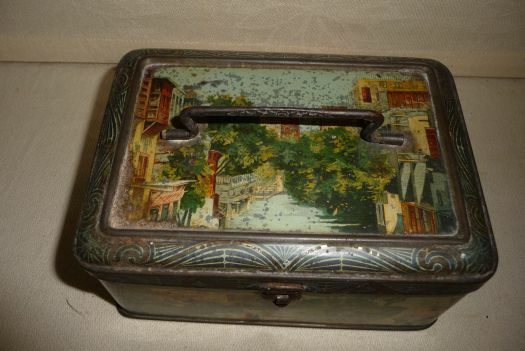 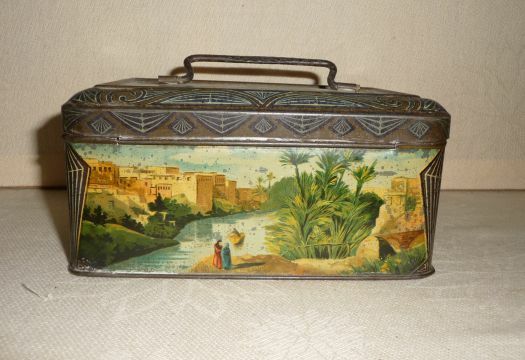 Nice lithographied tin box, with oriental landscapes. 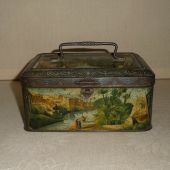 Condition is medium, no bumps, no rust but some small oxyded points and also some scratches on one of the smallest sides. 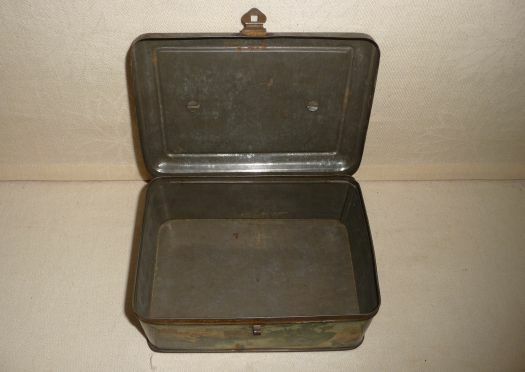 15,5 cm x 10,8 cm ; height 7,4 cm without the handle.